No glasses. No contact lenses. Just pure, clear vision from the doctors you trust. Isn’t it time you lived your life in HD? For our patients, the LASIK procedure is literally a life-changing event. Some remark they see detail in the world around them that they never knew was there: leaves on trees, birds in the sky. Others talk about waking up and seeing the alarm clock without having to reach for their glasses. But universally our patients say they wish they had gotten LASIK sooner, because the clarity and visual freedom is something they’ve wished for their whole lives. And thousands of procedures later, our list of happy patients continues to grow every day. LASIK surgery using a microkeratome blade has now been replaced with the option of having all-laser bladeless LASIK. 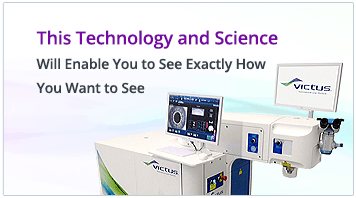 A specialized femtosecond laser first creates a thin corneal flap and then the Excimer laser reshapes the cornea to bring your world into focus. Your evaluation and the LASIK procedure are performed at the state-of-the-art Ocala Eye Surgery Center. Deciding whether to have a LASIK procedure can be challenging if you don’t really know what to expect. In this free guide, we highlight everything you need to plan, prepare for, and maximize results from your LASIK treatment. Why Ocala Eye for Your LASIK? Physician Experience – Ocala Eye’s refractive surgeons have performed thousands of surgeries – including LASIK, Photorefractive Keratectomy (PRK), Conductive Keratoplasty (CK), InTacs, and Refractive Lens Surgery. In 1998, refractive surgeons Dr. Jank and Dr. Polack were the first to perform the LASIK procedure in North Central Florida. We frequently see patients in consultation from other practices when their condition is especially challenging or if they have had issues from previous surgery. Patient Experience – from personalized attention to exclusive ‘extras’ such as our Zen Relaxation Room with shiatsu chairs, our patients rave about their experience as much as the results of their surgery. Our surgeons own and operate the facility where they perform their procedures, so you can rest assured that they will see you throughout the entire process, from preoperative evaluation through post-operative follow-up. Procedure Experience – after more than 20 years of experience, our LASIK protocols are world-class. AAAHC, a quality standards body for ambulatory surgery centers, has awarded Ocala Eye Surgery Center two national awards in the last five years. From Wavefront individualized laser vision correction to our unique climate-controlled operating theatre to neural network planning software, we are constantly enhancing our time-tested patient care, safety and quality processes. 21 years and older – although the FDA has approved the procedure for patients 18 years or older, most patients’ eyes will not have stopped growing until age 21 or so. Exceptions have been made when documentation demonstrates stability of prescriptions over the past several years (see Refraction). Most patients who qualify for LASIK are generally between the ages of 21 and 50 or so. 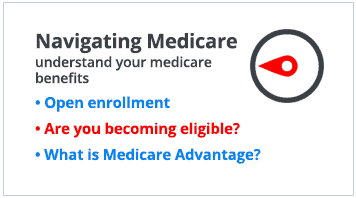 Patients older than 50 may begin to show signs of cataract formation (a normal part of aging) and need to be evaluated to ensure they are are good candidates. As cataracts become more significant with increasing age, there are other alternatives to LASIK which are more appropriate for these patients. Refraction (eyeglass or contact lens prescription) within a certain range and stable for at least 2 years – LASIK today has a safe upper limit; beyond this range, patients might be recommended other options that would best fit their needs safely. A stable refraction ensures that the treatment goal is not a ‘moving target’ and increases the likelihood we hit that target the first time and ensures stability into the future. Your corneas must be within a normal range of thickness and curvature. Corneas that are too thin may not be treated safely if too much tissue is removed. Reasonable expectations – LASIK takes the place of your glasses or contacts. It doesn’t give you superhuman abilities. We don’t chase theoretical numbers. Instead, we create 20/Happy patients. No significant eye disease – there are some conditions that may exclude a patient from having the LASIK procedure including, but not limited to, severe dry eye disease, certain corneal dystrophies, Herpes simplex of the eye, significant cataracts, thyroid-related eye disease, and possibly glaucoma or retinal disease. Additionally, certain systemic conditions are contraindicated unless they have been well-controlled such as rheumatoid arthritis. No history of prior corneal refractive procedures – this is assessed on a case-by-case process, as some patients who have had LASIK elsewhere before, and for which there is good documentation, may qualify for an ‘enhancement’ procedure. Similarly, certain patients who have had prior PRK, CK, or InTacs may also be qualified. Not currently nursing or pregnant – hormonal changes during these stages have been known to affect wound healing. Not currently on certain medications – certain medications are contraindicated because they can affect wound healing: Retina-A and Accutane. No history of auto-immune or immunodeficiency disease – these can cause healing problems (rheumatoid arthritis or related conditions) or inability to fight infection (HIV), respectively. Get ideas and help from Ocala Eye on how to cover LASIK fees. After almost twenty years, we know a few things about getting you what you want. Cheaper than glasses or contacts? 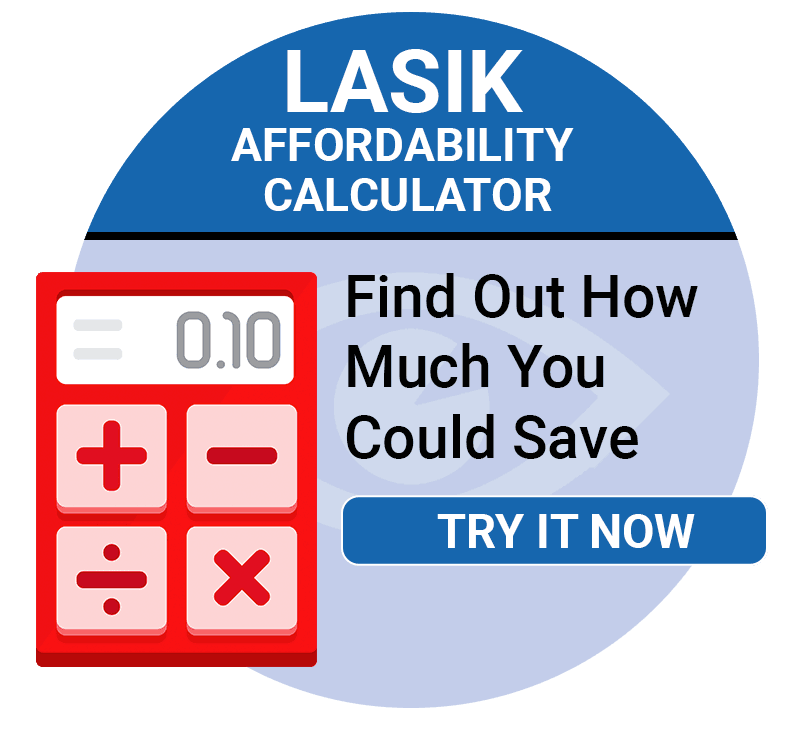 When you calculate the cost of glasses or contact lenses with cases, cleaners, and solutions over your lifetime, a strong case can be made for the one-time cost of LASIK. Click Here to find out. Priceless? What is the price tag you put on being able to see the leaves on trees, of being able to see your kids at the water park, or being able to wear those designer sunglasses without a prescription? Payment Plans? 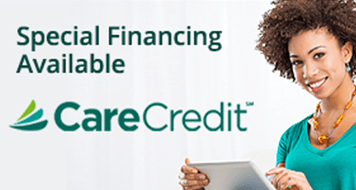 In addition to being able to pay for LASIK with your medical spending account (MSA) or health spending account (HSA), we have easy financing solutions which make your painless procedure even more painless. What Can I Expect from Ocala Eye LASIK? An honest assessment in a “no-pressure” atmosphere. Come discuss your goals with us. Get a free LASIK evaluation and get all of your issues and questions answered by one of our highly-skilled clinical team members, not a sales person in a suit. Personalized goals. The truth is 20/20 vision is actually not for everyone. This is why it is important to evaluate each and every person’s individual needs and goals. An active outdoorsy person may want the distance vision as far as possible, while a 45 year-old accountant might want a slight under-correction to help with office work. The one-size-fits-all promises of corporate laser centers makes their job easier but may not make sense for everyone. Excellent distance vision. LASIK corrects distance vision only; near vision is age-related. As we age into our 40’s and older, the near vision normally starts to change requiring the use of reading glasses. 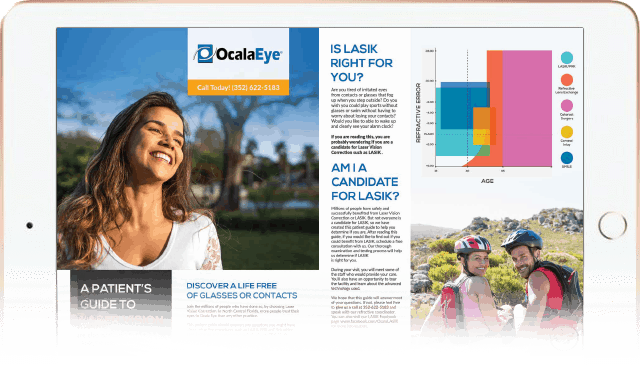 Ocala Eye’s LASIK surgeons and medical staff are dedicated to helping your vision last a lifetime, which is why we offer comprehensive eye care for adults of all ages. From annual eye exams to advanced procedures like LASIK and cataract surgery, we can help you see your best at any phase of your life.